Let Salesforce keep you up to speed on the latest trends, topics, and thought leadership in business. Please agree to receive our marketing communications. Yes, I would like to receive The Salesforce Canada Weekly blog as well as marketing communications regarding Salesforce products, services, and events. I can unsubscribe at any time. Now you can have an easy, no-hassle way to keep up with the latest trends in sales, marketing, customer service, and technology. 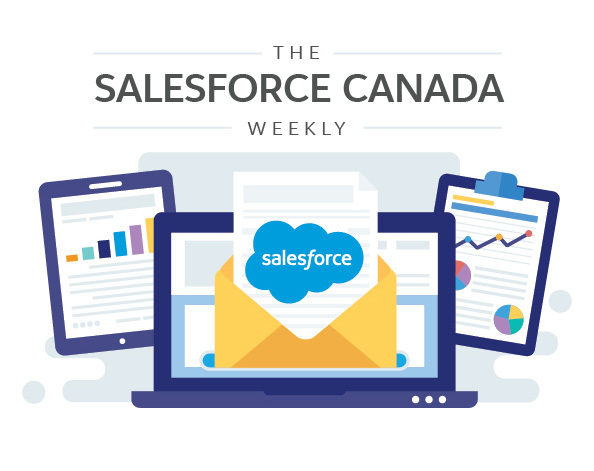 The Salesforce Canada Weekly is full of articles, case studies, and eBooks from industry experts, and includes all the information you need to stay on top of business today. And because it's from Salesforce, you know you're getting topical, timely and engaging thought leadership. You can learn about hidden social media features that make you more effective on each site. We also show you how to make sure your email marketing suits your mobile customers, and how top salespeople can close difficult sales with a variety of unique tools and actions. The Salesforce Canada weekly allows you to rise above the noise and gain actionable advice from top industry experts that you can implement today.